Meatless lentil tacos have quickly become a favorite in our family. I am pretty sure Shane was unsure when I informed him that we would be enjoying lentil tacos for dinner, but once he ate the first, second, third, and fourth it was apparent that he loved them as much as I did. Our girls requested a second serving and Alex headed to the kitchen to make a third. It was obvious that these Meatless Vegetarian / Vegan Lentil Tacos were a score in our home! Ever since I eliminated most meats from my diet (currently I only eat seafood) our family has been enjoying refried beans tacos. Don’t get me wrong, I totally love my slow-cooker refried beans but this meatless lentil taco filling is simply delicious. I found the inspiration for these meatless tacos over at Post Punk Kitchen and with a little tweaking I made it work for our family. You can easily spice this dish up or add your favorite seasonings…whatever works for you and your family. Lentils are amazingly good for you. Lentils are a great source of cholesterol lowering all-star fiber, provide important minerals, and have very very little fat. They fill you up and pack a nutritional bang! Lentils are good for your body, great for your wallet (they are way less expensive than meat! ), and are awesome served up in these tacos. So, have I convinced you that you MUST try these lentil tacos? I hope that I have, here you go. 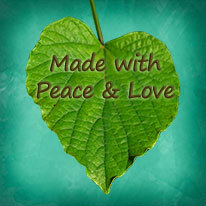 Angela at Earth Mama's World shares one of her favorite and easy to make vegan dishes. 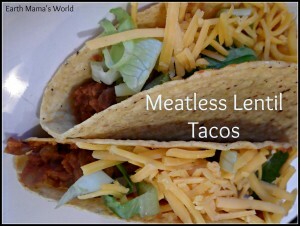 These Vegan Lentil Tacos are quick, easy, & delicious! Taco shells and taco add-on’s such as lettuce, onions, jalapeno’s, salsa, cheese, etc….. 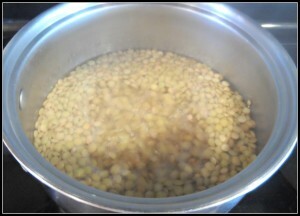 Combine Lentils and water in a pot. Bring to a boil, cover and simmer for about 20 minutes. There will be no water remaining when they are done. 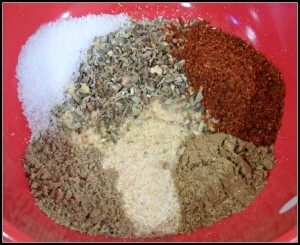 While the lentils are cooking mix your spices together in a bowl. Heat a large skillet over medium-high heat and add your lentils, seasoning mix, tomato paste, and ⅓ cup of water. Stir the lentil mix while mashing a bit until totally combined. Scoop into your shells, place your desired toppings and enjoy…seriously enjoy! 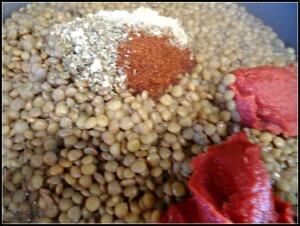 Heat a large skillet over medium-high heat and add your lentils, seasoning mix, tomato paste, and 1/3 cup of water. 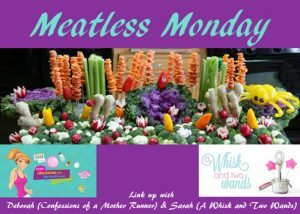 This post is a part of the Meatless Monday linkup hosted by Confessions of a Mother Runner & A Whisk & Two Wands. I’m so totally making these this weekend when I’m back in my house. I have some lentils and I’m sure there’s tomato paste and the movers won’t take stuff that’s open so… I can’t wait! !